class="post-template-default single single-post postid-339844 single-format-standard group-blog masthead-fixed full-width singular wpb-js-composer js-comp-ver-5.7 vc_responsive"
U.S. beef exports set new records in August with export value topping $750 million for the first time, according to data released by USDA and compiled by the U.S. Meat Export Federation (USMEF). August pork exports were fairly steady with last year’s volume, but retaliatory duties in key markets continued to pressure pork export value. Exports to Mexico were up 1 percent from a year ago in volume (158,496 mt) and were 8 percent higher in value ($693.9 million). Mexico is the leading destination for U.S. beef variety meat exports, which have trended lower in recent months to fall 8 percent below last year’s pace at 64,642 mt. Variety meat value to Mexico remained steady with last year at $148.7 million. While beef shipments to China/Hong Kong slowed in the summer months, January-August exports remained 6 percent higher than a year ago in volume (79,584 mt) and 30 percent higher in value ($638.8 million). Exports to China, which reopened to U.S. beef in June of last year, were 4,580 mt valued at $39.8 million. Beef exports to Taiwan soared 36 percent above last year’s pace in volume (38,923 mt) and 40 percent higher in value ($359.9 million). Chilled exports to Taiwan were up 32 percent in volume (15,676 mt) and 41 percent in value ($197.1 million), as the United States captured 74 percent of Taiwan’s chilled beef market – the highest share of any Asian destination. Strong growth in the Philippines pushed beef exports to the ASEAN region 11 percent ahead of last year’s pace in volume (29,261 mt) and 23 percent higher in value ($160.7 million). Led by sharply higher exports to Costa Rica, Guatemala, Panama and El Salvador, export volume to Central America increased 26 percent from a year ago to 9,519 mt, while value climbed 22 percent to $51.6 million. Led by strong growth in Colombia and Peru, exports to South America increased 29 percent from a year ago in volume (82,153 mt) and 24 percent in value ($204.4 million). A slow start to the year kept exports to Chile below last year’s record volume pace, but shipments regained momentum in July and August. Following a record performance in 2017, pork exports to Central America surged 20 percent higher in volume (52,528 mt) and increased 17 percent in value ($123.8 million). Pork exports to all seven Central American nations have achieved double-digit growth in 2018. Exports to the Dominican Republic continue to gain momentum, increasing 30 percent in volume (29,480 mt) and 25 percent in value ($64.5 million). Led by strong growth in the Philippines and Vietnam, exports to the ASEAN region increased 29 percent in volume (39,021 mt) and 28 percent in value ($100.1 million). The ASEAN is an especially important destination for pork variety meat, with these exports nearly doubling from a year ago in both volume (14,273 mt, up 99 percent) and value ($24.2 million, up 94 percent). Exports to Australia were 9 percent ahead of last year’s record pace in both volume (51,070 mt) and value ($147.5 million). Australia is the third-largest destination for U.S. hams exported for further processing, trailing only Mexico and China/Hong Kong. August exports of U.S. lamb reached the largest monthly volume this year (1,353 mt, up 105 percent from a year ago), due primarily to large shipments of lamb variety meat to Mexico. 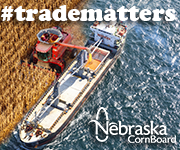 August export value was just under $2 million, up 16 percent year-over-year. Lamb muscle cut exports took a step back in August, totaling just 142 mt – down 32 percent from a year ago and the lowest since January. Through August, lamb exports were 60 percent ahead of last year’s pace in volume (8,033 mt) and 20 percent higher in value ($15.4 million). This growth was fueled mainly by stronger variety meat demand in Mexico, but muscle cut exports increased significantly to the Caribbean, the United Arab Emirates, Singapore and the Philippines. Complete January-August export results for U.S. beef, pork and lamb are available from USMEF’s statistics web page.